Mr. A is going to leave his house for three days to travel. He enters “HomeChat” to talk to his smart home monitoring system. He let it know that he is leaving. “Home” answers, “Have a nice trip. I am going to miss you!” Then it asks Mr. A, “Switch to vacation mode?” As soon as he says “Ok.”, it changes the settings to power saving mode. This is one example of the Internet of Things, IoT. According to Wikipedia source, it is the interconnection of uniquely identifiable embedded computing devices within the existing internet infrastructure. Before this technology, humans had to intervene between devices. However, this system is expected to offer advanced connectivity of devices, systems, and services that goes beyond machine-to-machine communications (M2M). It utilizes technologies such as Bluetooth, Near Field Communication (NFC), Sensor Data, and networks. Through this, the IoT helps people to have even more convenient lives; for example, an IoT tooth brush that tells parents if their child brushed his teeth or not and how long it took, an IoT mirror which acts as a monitor to check the weather, news, or traffic, and an IoT car that might possibly drive itself without a human’s control. As such, IoT can be used in a variety of ways. Even though it is a rising technology in the IT field, and there are not many examples of its application, Massachusetts Institute of Technology and Southern California University have already adopted IoT for a wide variety of usages in their colleges. Firstly, MIT connects the internet to its dormitory bathrooms and laundry rooms. Students who want to check whether facilities are available or not simply look up and find the empty spots. As another example, the University of Southern California University controls gardens remotely through robotic arms. In this way, gardeners can take care of the gardens even if they are not on campus. In addition, there are several examples of IoT in other fields. For instance, washing machines with inserted Near Field Communication, NFC can be easily inspected through smartphones and also can set up the washing cycles in a very simple way. Also with refrigerators with inserted NFC automatically checks the temperature by itself so it can keep grocery fresh by maintaining the same temperature and switches to power saving mode if it needs to. Another example is Mickey Mouse at Walt Disney World. Inside of the costumes of Mickey Mouse, there are sensors and speakers to collect data throughout the park. The collected data gives information such as which ride's line is the shortest, where the person is located in the park, or information about the upcoming weather to the public. Compared to other countries’ situations, Internet of Things technology in Korea is, in fact, just at its beginnings. From October, 2009 to June, 2013, many government organizations and institutes have selected IoT technology as a main field of IT and attempted to start projects. As an example, recently KT and Heungkuk Fire & Marine Insurance started a development project using IoT and big data for the first time in Korea. Through this, customers can have custom-built insurance according to their habits of driving. In this way, the customers would pay for what they really need and also it would promote drivers to build safer driving practices. This example has been the exception; however, many of these projects have not turned into programs that directly benefit consumers, and all were followed by the government alone, excluding any individuals and private companies. A survey which was held by Korea Mobile Enterprise Promotion Association says that these problems are all due to lack of support and poor environment. According to the survey, half of 130 major ongoing research and development projects are related to IoT mobile devices. Yet, surprisingly, 93 percent of them answered that they had never gotten backing from the government or private companies. This clearly shows that more supports and aid need to be given to this industry to progress further. 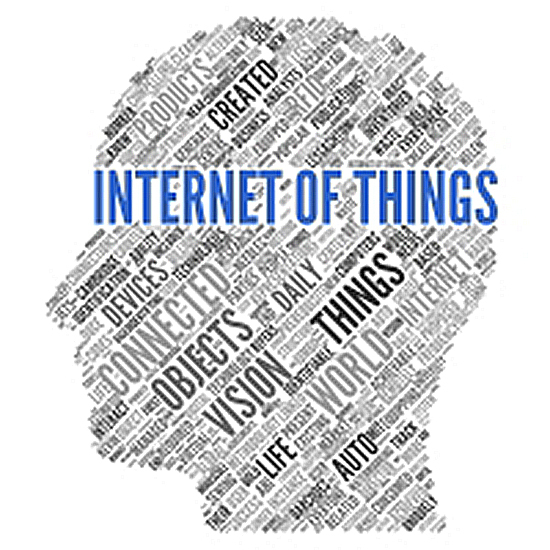 Internet of Things is the topic of the year in the IT field. This provides people very convenient lives and is being utilized in very broad areas like schools, homes, and amusement parks. Even as this new technology continues to develop at a very fast pace and brings benefits to our lives, like many other sciences, there is a possibility of dangers behind the convenience which such technology provides. As the expert advised, it is crucial to acknowledge the jeopardy in order to prevent possible attacks beforehand.